We are pleased to announce the release of our new music video in Hebrew and Spanish called Ata Yeshuati – Tú Eres mi Salvación (You are My Salvation). Get on your dancing shoes and enjoy the lively rhythms of the music and also the story of one man’s journey from anger and bitterness to forgiveness. Feel free to use this song in worship too. 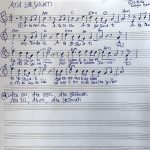 Several congregations have already requested the lead sheet so I’m posting it here. My only request is to please include the CCLI number 7125081 when using this song in your congregation. Todah rabah – thanks so much and enjoy! A Middle-Eastern inspired soaking CD. May you enter in a deep place of worship as you listen to our new Middle-Eastern soaking CD. Enjoy the rich harmonies and sounds of the harp, cello, violin, recorder, Irish pennywhistle, guitar and more. The Middle-Eastern flavor flows out of the saz, setar and tar, instruments from Iran and Turkey. These nations are two of Israel’s modern day enemies who will one day be worshiping the G-d of Abraham, Isaac and Jacob with us. What a perfect sound for worship coming from Israel! May you enter into the throne room of grace through this new worship and soaking CD. Enjoy and be immensely blessed! 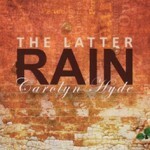 “The Latter Rain” has just been released! This CD was birthed while praying over many prodigals. The L-rd poured out new songs to bless those who have strayed from the faith and encourage those who pray for them. The song styles vary from folk-blues to soft rock and from country-western to classical. Produced by Richard Hyde and Sasha Fishman and mastered in LA, “The Latter Rain’ features a song by Eliana Aliyah, plus 28 Israeli musicians. Nothing synthetic here – it’s real music! 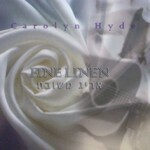 “Fine Linen” is an original collection of worship songs, half in Hebrew and half in English. We like to call it “worship with a touch of the blues.” Songs include”Fine Linen,” “Shine”, “Cover Me”, “Ha Aretz,” and “Hu Chai B’Tochi”. 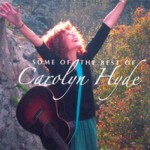 Produced by Richard Hyde and Marc Chopinsky with musicians from Tents of Mercy and Morning Star congregations. 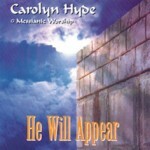 “He Will Appear” is full of worship songs about the restoration and salvation of Israel. “He Will Appear”, “We Will Enter”, “When He Brings Us Home”, and “144,000” are used in congregational worship. “Yeshua Will Arise” was also translated into German and seems to be a favorite there in Germany. If you want to record the songs, that’s also fine, but please contact Heart of G-d Ministries first. 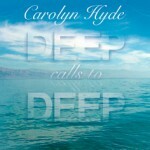 As a member of ASCAP and CCLI, Carolyn Hyde is supposed to be informed about recordings of her songs. “Song of Songs” and “Hear from Heaven”, remixed here in Israel. All of the CD’s photos were taken in the Golan Heights.